A simulation of a multiplication process includes tracing histories of a plurality of carriers, increasing a weight factor of a carrier to simulate a multiplication of the carrier, and summing the number of the plurality of carriers. Each of the plurality of carriers is multiplied by its respective weight factor. Can be used in finance industry, where stock splitting and other market behavior can be simulated, with a ten-fold improvement in speed, using this technology. Can also be used in semiconductor device simulations, population studies, market analysis and prediction, etc. 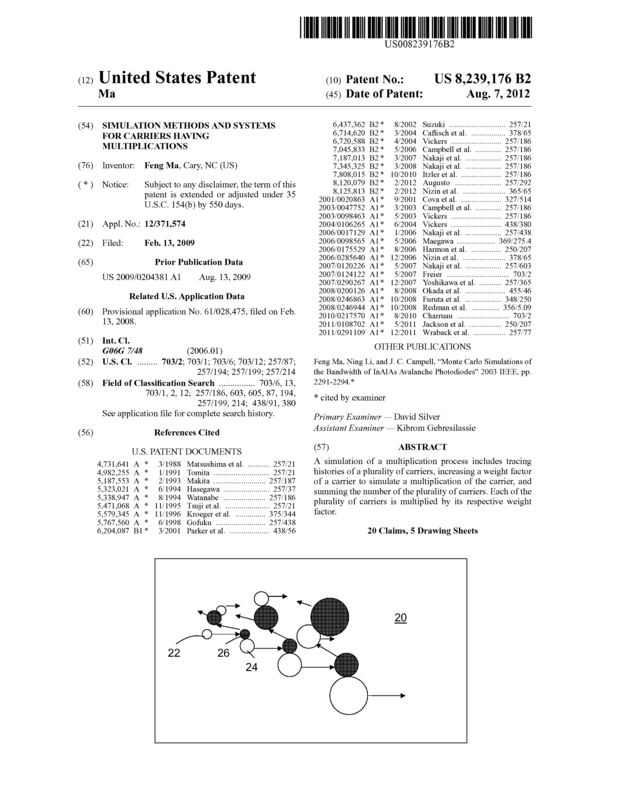 Page created at 2019-04-24 18:39:54, Patent Auction Time.